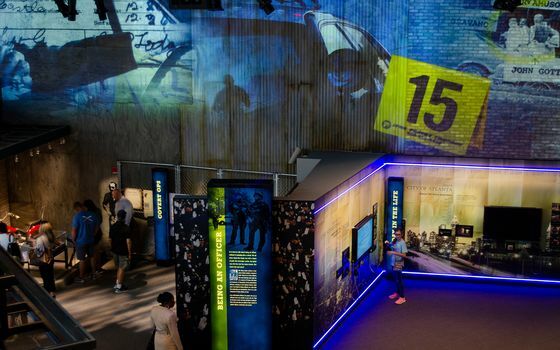 (Bloomberg) -- Not enough Americans are interested in what it’s like to be a police officer to keep the National Law Enforcement Museum afloat. The museum defaulted on a Jan. 1 payment due on some of the $103 million of bonds that financed its Washington, D.C., facilities near the Smithsonian, just months after it opened in October. It attributed the lapse to a failure to reach its fundraising goals and lower-than-anticipated revenue, according to a transcript of a conference call held with bondholders on Jan. 10. The payment shortfall makes the museum -- which bills itself as a place where people can "walk in the shoes" of law enforcement officers -- one of the rare borrowers in the $3.8 trillion municipal-bond market to default on its debts. It joins other museums that have struggled financially, including one in Nebraska devoted to the pioneers and the American Folk Art Museum in New York. The National Law Enforcement Officers Memorial Fund, which borrowed the money for the museum in 2016, slashed its attendance forecasts to just 300,000 visitors in the first year from the 420,000 initially expected, according to the call transcript. It also cut its staff by 12 percent and raised ticket prices for adult visitors by $1 to $21.95. It opened in October, during what museum officials said is a tough quarter for tourism in the nation’s capital. During the fourth quarter, the museum posted a total operating loss of $1.9 million and is expecting a net loss of $5.6 million in 2019. This month’s default affected subordinate taxable bonds, according to the filing. About $460,000 of interest on those bonds wasn’t paid.